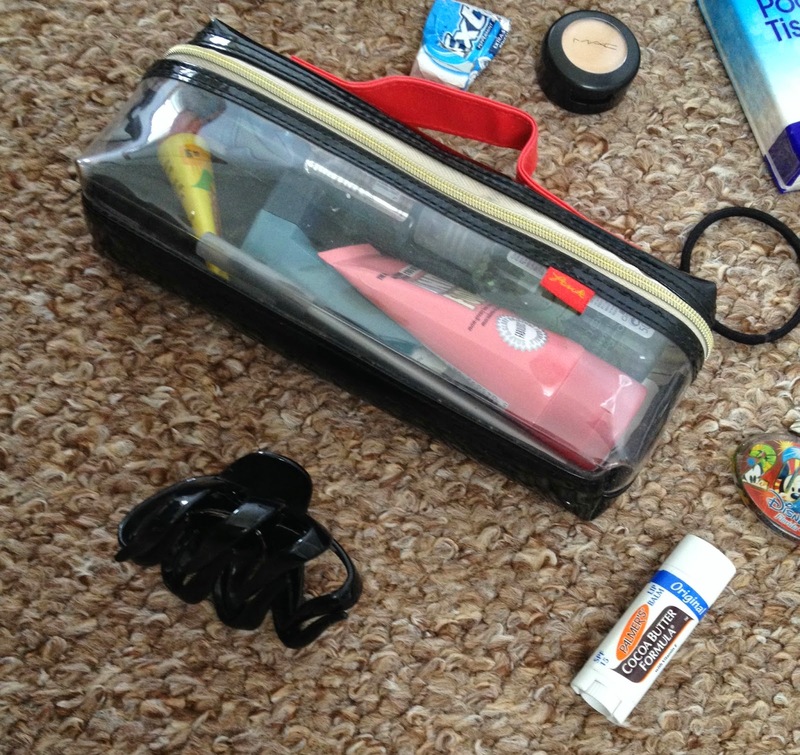 Just Taylor: Updated: What's in my bag? Hi guys! Happy September! I can't believe that Summer is over already, before we know it it'll be Christmas! It's been a while since I done the 'What's in my bag' tag and since I have a new bag, I thought I would do an updated one to share with you all! 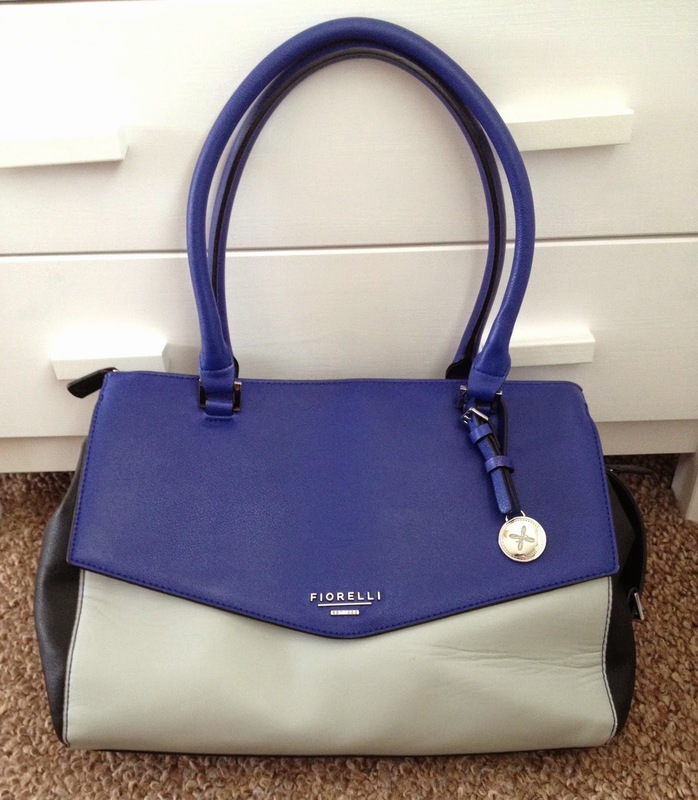 I received this bag from my parents for my birthday from Fiorelli and I absolutely adore it! I love the block colours and it's unusual to any other bags that I own. 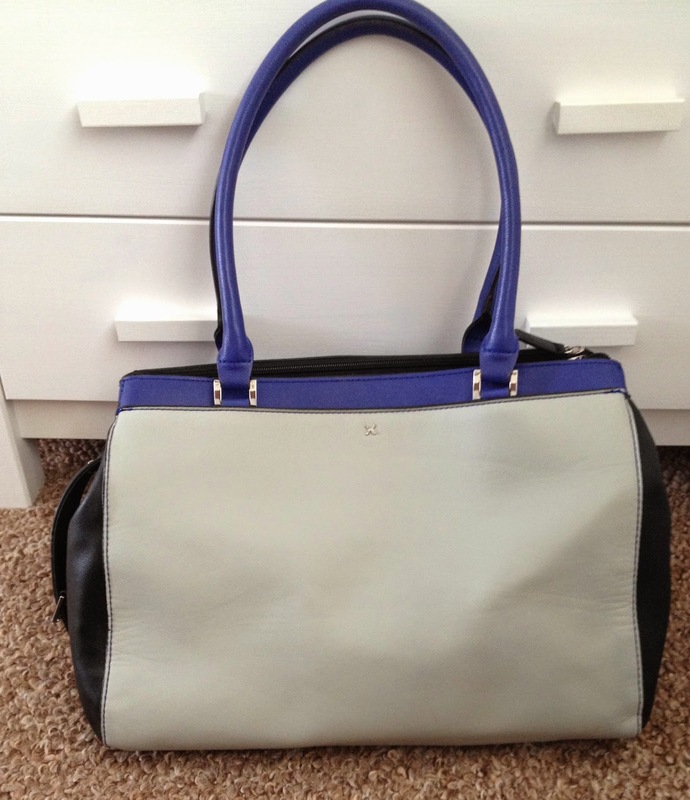 I think what I'm most drawn to about this bag is the three zip compartments, along with two outside pockets. 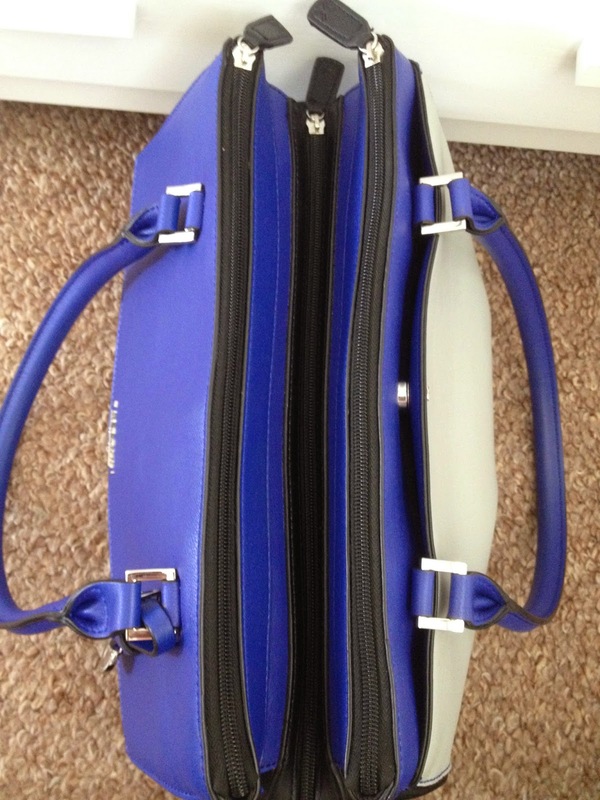 It makes it a lot easier to organise where I put things in my bag and keeps it neat and tidy! 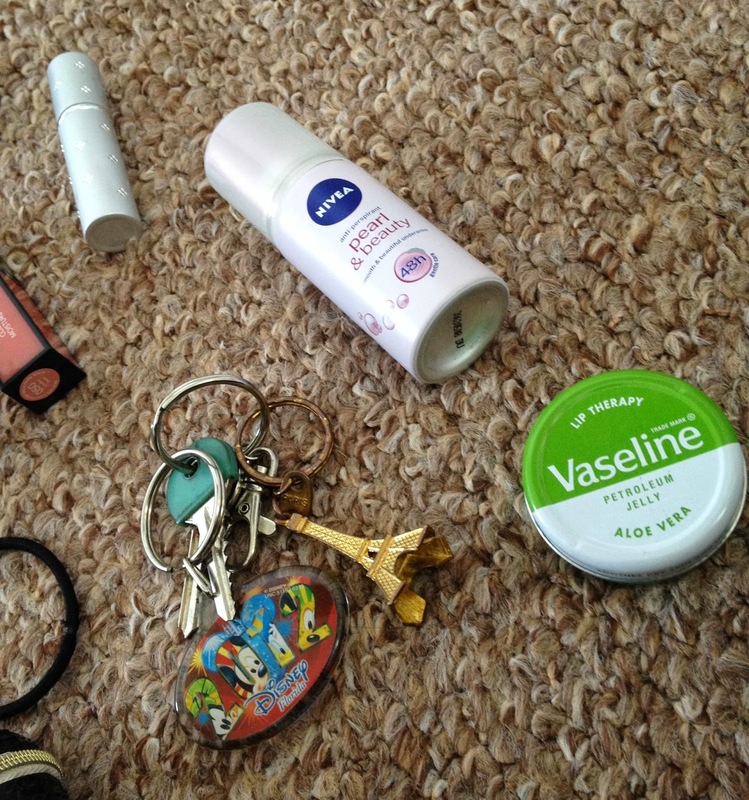 Onto the contents of my bag, I have the usual necessities such as my purse, keys, sunglasses etc. I also keep a little bag full of things that will come in useful when I'm out and about, such as handcream, hand sanitiser, a pen, my inhaler etc. I have the essentials that every girl needs in their handbags which is a mini deodorant, perfume, lip balm, a bobble and a big hair clip. In case of emergencies, I also take my MAC concealer with me and a lipgloss which happens to be one of the Revlon colourstay moisture stain lipglosses that I'm trying out, just incase I need a top up throughout the day. 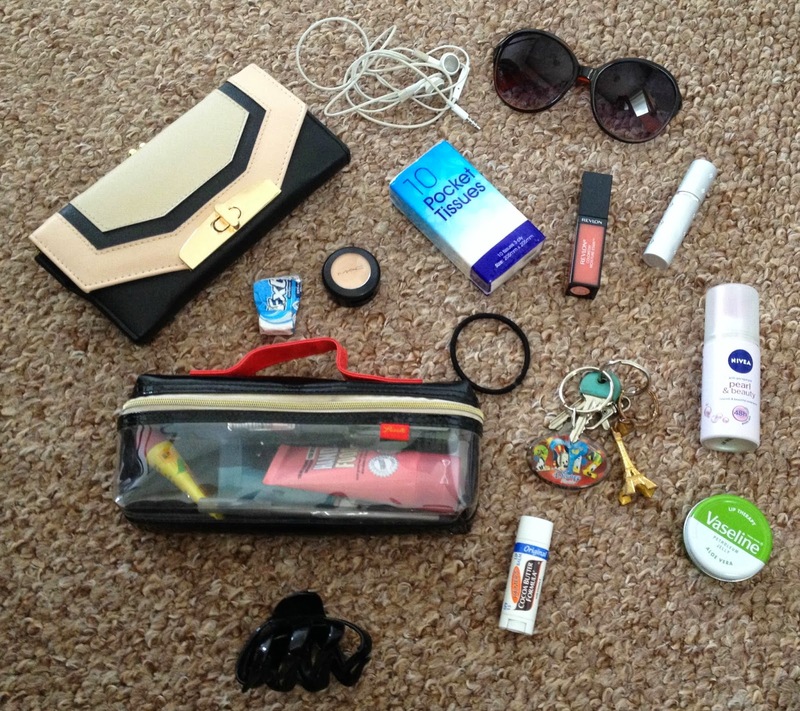 What essentials do you keep in your handbag? In my handbag you will find a lot of unwanted junk haha! 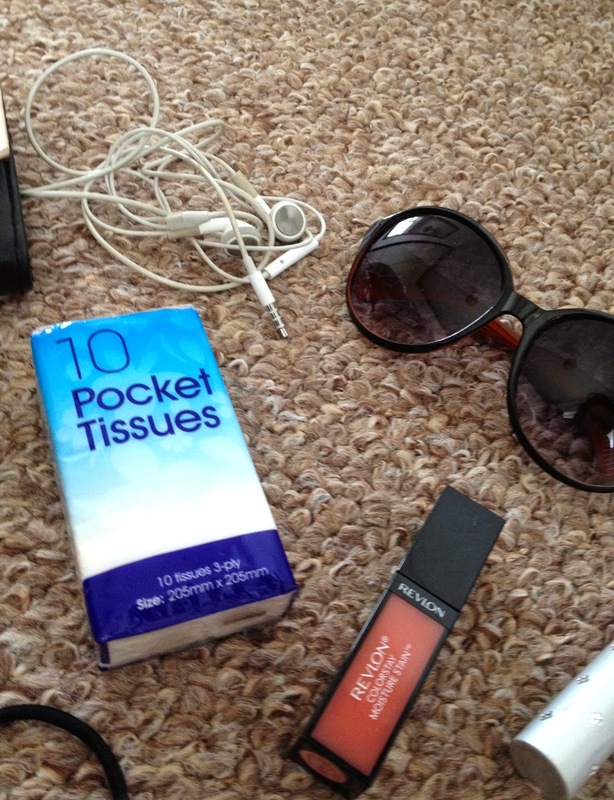 but my essentials are things like my phone, keys, pens, small diary, purse, ear phones, makeup bag, a lot of lip products.